How to get 666 from www? The Hebrew and Greek alphabet does not have separate characters or alphabets for numbers and letters. Letters are also used as numbers. So each letter is a numerical value. The Hebrew equivalent of our “w” is the letter “vav” or “waw”. The numerical value of vav is 6. So the English “www” transliterated into Hebrew is “vav vav vav”, which numerically is 666. The prophecy of the number of the Beast (Rev 13:18) is presented to the reader in the form of a riddle. It is a number which refers to the name of a person. In the Hebrew, Aramaic and Greek languages, people’s names had easily ascertainable numerical values, because their numerical systems used the letters of the alphabet as numerals. The Hebrew version of this numerical word-play is known as gematria, and the Greek form is referred to as isopsephy. The original meaning behind this prophecy is almost unanimously regarded to be a reference to the Greek version of the name “Caesar Nero”, which adds up to 666 once transliterated into Hebrew. The word-play is doubly apt here, since the Greek word for “beast” – θηριον (therion) totals up to 666 once transliterated into Hebrew as תריון. The sixth letter of the Hebrew alphabet, the letter waw (also known as vav to Jews of Eastern European descent), has the numerical value of 6, and transliterates into the modern Latin alphabet as the letter w.
So the numerical value of the letters www in Hebrew is three sixes – six-six-six. While these letters do not total up to the cardinal number 666 (six hundred and sixty six), they are each individually represented by the number six – which gives us three sixes. 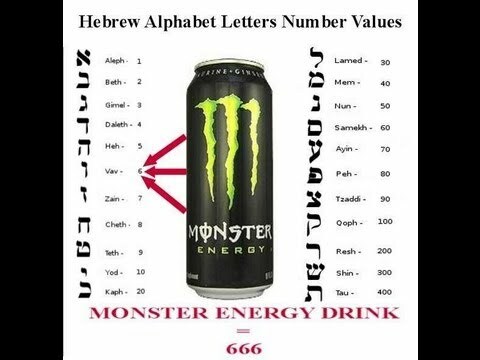 The number of the beast is commonly spoken as six-six-six, because this is much easier to say than the mouthful “six hundred and sixty six”. Although it wouldn’t have been as obvious as it is in the Hindu-Arabic numeral system we use today, the number 666 would have been easily understood as three sixes in the ancient Greek and Hebrew languages. We can see this from the repetition of the root word for “six” in both languages. In Greek the number 666 was spoken as hexakosioi hexekonta hex – so there is a three-fold repetition of the Greek word for six which is hex. Similarly this three-fold repetition occurs in the Hebrew spoken version of 666, which is shesh me’oth sheshim washesh – the Hebrew word for six (shesh) is also repeated three times. The author of the Apocalypse saw the primary symbolic value of the number 666 as three sixes. As G.K Beale states in his commentary (widely regarded as one of the best scholarly commentaries on the Apocalypse): “the triple sixes are intended to be a contrast with the divine sevens throughout the book and signify incompleteness and imperfection.” (Beale, G.K. The Book of Revelation, Carlisle: Paternoster, 1999). Each six represents a member of the unholy trinity – the False Prophet, the Beast and the Dragon. As it falls short of the Divine number 7, six represented the number of imperfection. It was also the number of man, since man was created on the sixth day. 666 is an intended antithetical parallelism of the threefold repetition of sevens – 777, which represents the Holy Trinity. Another threefold repetition of numbers can be found in the numerical value of Christ’s name. The Sibylline Oracles noted that when written in Greek the name Jesus (ΙΗΣΟΥΣ) adds up to 888. (Ι = 10) + (Η = 8) + (Σ = 200) + (Ο = 70) + (Υ = 400) + (Σ = 200) = 888. (Sib. Or 1:395-400). “Charles contends that the symbolic view cannot explain why only one or even two sixes were not used instead of three, since one six would have achieved the sufficient symbolic idea of incompleteness. But the triple repetition of sixes connotes the intensification of incompleteness and failure that is summed up in the beast more than anywhere else among fallen humanity. In the Bible the number three signifies completeness, as, for example in the completeness of the Godhead in Rev. 1:4-5, which is parodied by the dragon, the beast, and the false prophet here in ch. 13 (and in 16:13). The fact that a triple letter acronym (www) intimately related to modern commerce transliterates into the original language of the author of the Book of Revelation as having a numerical value of three sixes (which for the author is the primary symbolic value of the number 666) cannot be put down to mere coincidence. But how does this explain how no one would be able to buy or sell without recieving this number as a “mark” on their hands or foreheads – as the prophecy suggests? ← Jesus; Man or Myth? When the the Roman Catholic Church becomes combined with state – with the world governments /perhaps the Super-powers – then all nations,people will not be able to buy or sell – wasn’t Brexit and its forerunner TPPP? (a planned test of that that many refused which stated by the USA,would close the doors to trade if countries didn’t come under it ,be part in it?) if they are not part of that church,not loyal to it ,etc.the seal or mark is a spiritual one, but a permanent inserted tech RFID chip,ID card, etc could also be part of it.So you cannot convert. Supposed DNA changes will have all not wanting to believe in God.People will not have that urge that God put there in their DNA.Let’s say that measure of faith, the knowledge of God,so no man has an excuse.